Pour répondre à l'invitation à participer à ce événement, veuillez sélectionner l'option appropriée ci-dessous. Be careful, you're about to acquire the source file that permits generating this video futurdsi.tv. Thank you do not sell it to other individuals or third parties appearing on these videos because it's the only reason for not shooting charged in advance to anyone: your understanding in this area will enable an initiative such as futurdsi.tv to continue covering some technical costs, well below their actual costs. You are under no obligation (e) to purchase the source file for profit (everyone can read it on the site), but not to share it with others, avoid buying bulk: this is the only encouragement we hope from our visitors. Deprive us of this revenue source would condemn the initiative to disappear in the very short term, this type of source file having value only for a very limited number of people (speakers, lecturers, journalists). We are absolutely not subsidized and have to avoid intrusive ads on the site. Notice of copyright: the sine qua non for acceptance of this transaction and the possibility of this broadcast is: do not hide the logo futurdsi.tv or the URL shown on the video to your visitors of know the origin and authors. Thank you do not copy it to sell it to other individuals or third parties appearing on these videos because it's the only reason for not shooting charged in advance to anyone: your understanding in this material will allow an initiative such as futurdsi.tv to continue covering some technical costs, well below their real costs - and allow the majority of free access to these targeted content. You are under no obligation (e) to purchase this DVD to enjoy (anyone can read it on the site futurdsi.tv), but avoid sharing it with others, avoid purchasing illegal sharing with several people: this is the only encouragement we expect from our visitors. Deprive us of this revenue source would condemn the initiative to disappear in the very short term, this type of source file having value only for a very limited number of people (speakers, lecturers, journalists). We are absolutely not subsidized and have to avoid intrusive ads on the site. This implies that no other person or entity, including futurdsi.tv, may no longer distribute it without your express agreement. Copyright notice: this version futurdsi.tv logo that currently appears in the video is removed, you can affix your own. 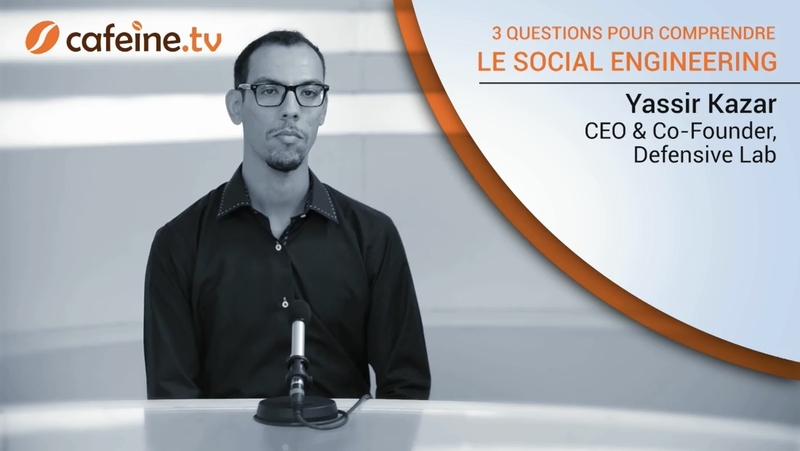 Choose your language and your payment mean : "3 questions à un expert pour comprendre le Social Engineering"
Envoyer à un contact : "3 questions à un expert pour comprendre le Social Engineering"
Je viens de voir une excellente vidéo sur futurdsi.tv que je te conseille d'aller voir. 3 questions à un expert pour comprendre le Social Engineering Where am I? Les médias sociaux de l'entreprise échappent-ils au contrôle de la communication interne ? Existe-il encore un métier de communicant interne à l'heure des médias sociaux ? Digital Literacy : quelles compétences pour s'intégrer et s'épanouir dans la société numérique ? This subject has been accessed 14.401 times, by 2.988 different IP addresses, without taking into account anonymous IPs. Comment from Malik Donga: J'ai appris beaucoup de chose, très bien fait, bravo !